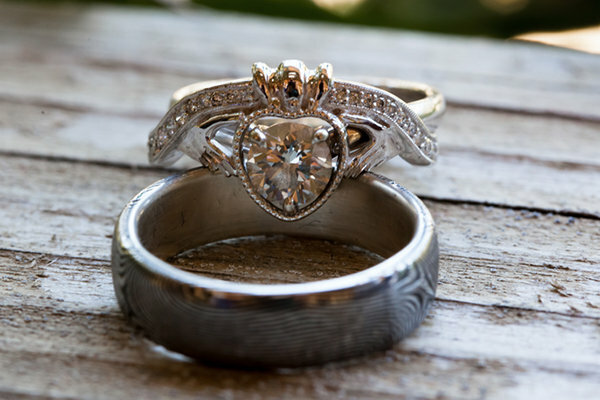 Engagement rings are always very personal. Some people think it’s all about the size of the diamond, but we disagree. It’s got nothing to do with prices, sizes or trends and everything to do with your unique taste and sentimental value. An engagement ring is supposed to represent your feeling and your bond with your partner. It doesn’t matter whether it’s a huge rock or a small band, a ring that’s been on display at Tiffany’s or a family heirloom passed down through generation – it’s all about the message that it carries. 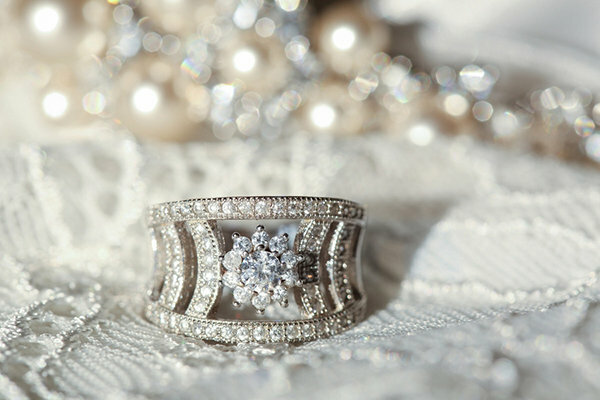 Each and every engagement ring is incredibly special. But we can’t get away from the fact that engagement rings are also incredibly beautiful and we’re all guilty of staring at them at jewelry displays and online. 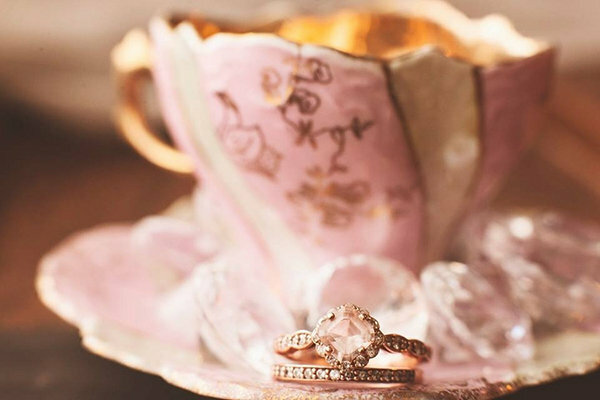 So let’s indulge ourselves and take a look at 15 of the most beautiful engagement rings we’ve ever seen. 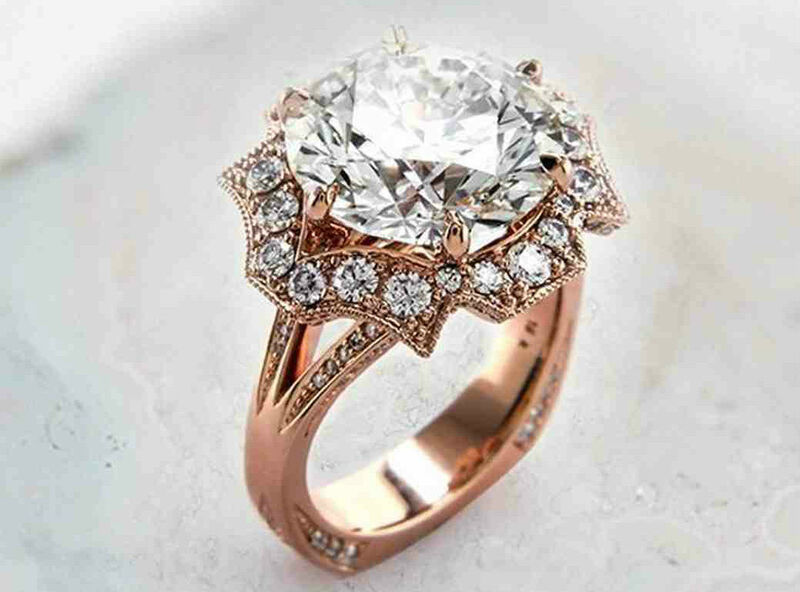 This is basically every little girl’s dream ring. It’s pink, it’s pretty, it’s elegant and worthy of a princess. What’s not to like? You don’t see engagement rings with triangular diamonds very often, but we definitely love this unique geometric design. It’s very modern and sleek, perfectly fit for modern woman of the 21st century. 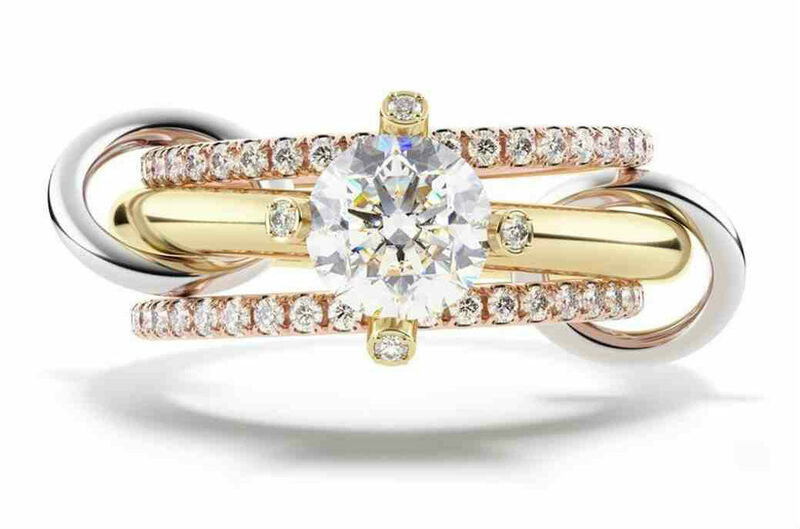 Rose gold is everywhere still and we see why. I mean just look at this ring. It’s so elegant and beautiful and it kind of looks like a flower, doesn’t it? It’s a perfect ring for the girliest of girls. Now that’s a ring for an edgy girl, quite literally. All those sharp edges and geometrical shapes are very cool. It’s a brilliantly modern design that is guaranteed to catch people’s attention. If you’ve ever watched Buffy you know what this ring is all about. The Claddagh ring is so symbolic. The heart symbolizes love, the hands symbolize friendship and the crown is a symbol of loyalty. It’s pretty special, ok? Listen, I can see stars, galaxies, and comets when I look at this ring. The shape of it is so unique and so gorgeous. And the combination of diamonds and sapphires is definitely giving me night sky vibes. We’re not all about huge rocks, especially if you can get such a gorgeous sparkly floral inspired ring with so many cluster of diamonds. This ring could compete with the biggest stones out there in terms of bling and sparkle. Did you know that grey diamonds are very rare, especially in that huge size? 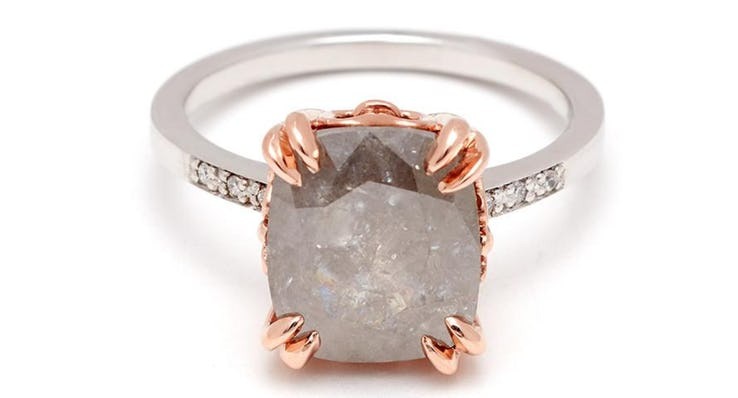 This rind is simply mesmerizing and we love the little rose gold claw details. The little clusters of diamonds on the sides don’t hurt our eyes either. You probably could never imagine an engagement ring to look like this. We’re used to classic bands. 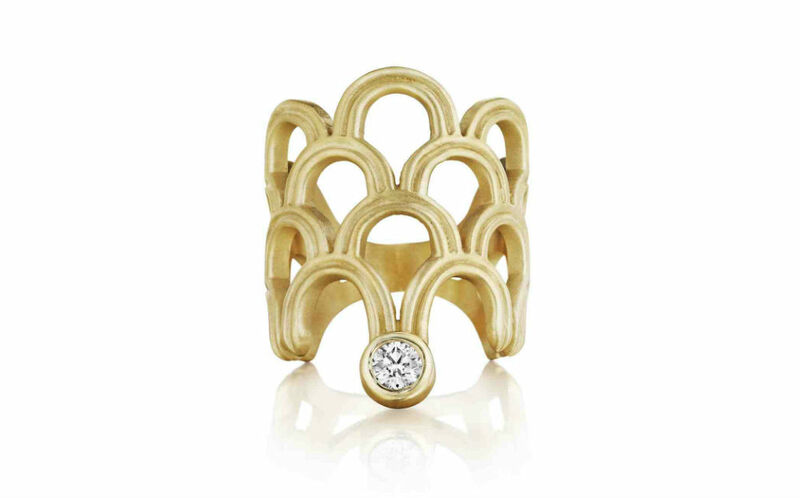 However, Doryn Wallach clearly isn’t afraid to push the envelope, this is one unique engagement ring and we love it. 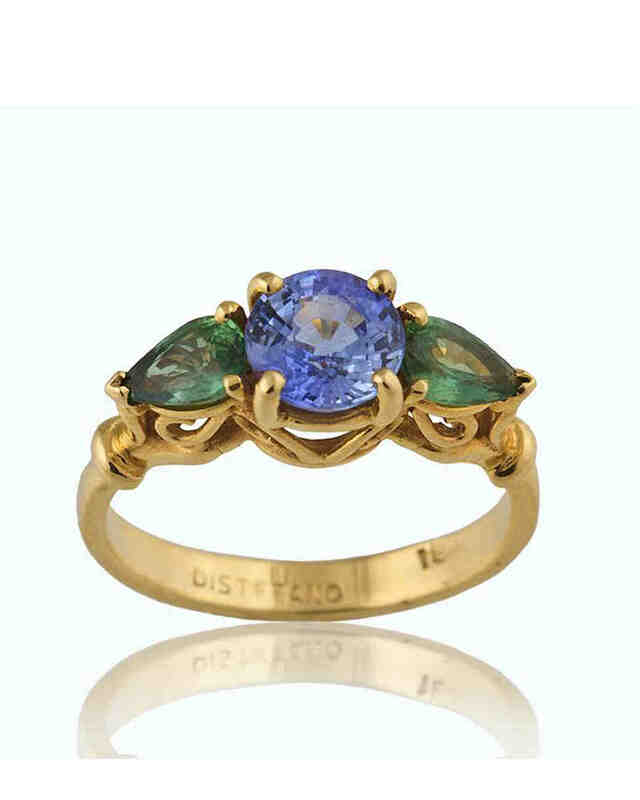 The shape and design of this engagement ring is giving us renaissance fair vibes. It’s delicate and dainty but at the same time it also looks a bit rough. A real diamond in the rough – loving this juxtaposition. 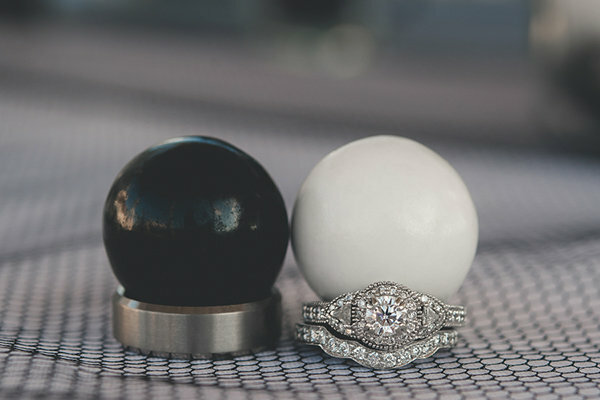 Listen, three stones are definitely better than one, especially when they’re on such a gorgeous engagement ring and surrounded by all those other smaller diamonds. I’d say in an instant. 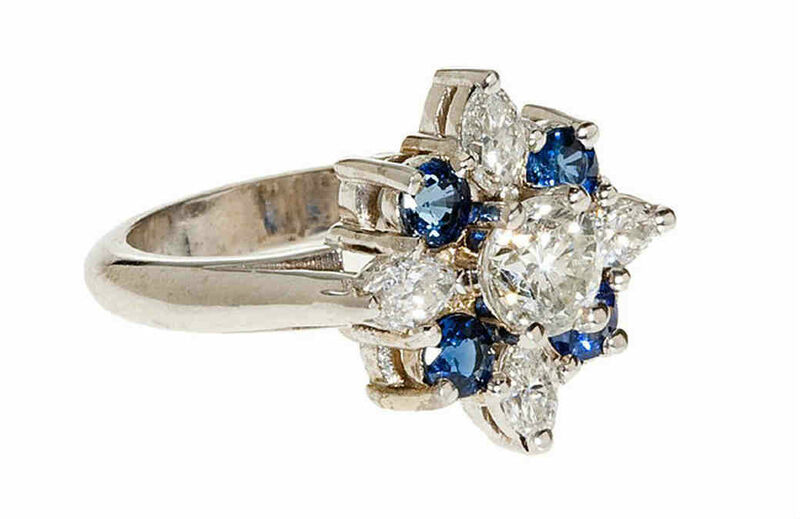 Is this engagement ring also giving you those vintage princess vibes or is it just me? Those blue and green sapphires that look like a flower with leaves on each side are absolutely stunning and I bet you’re already thinking of woodland themed wedding. 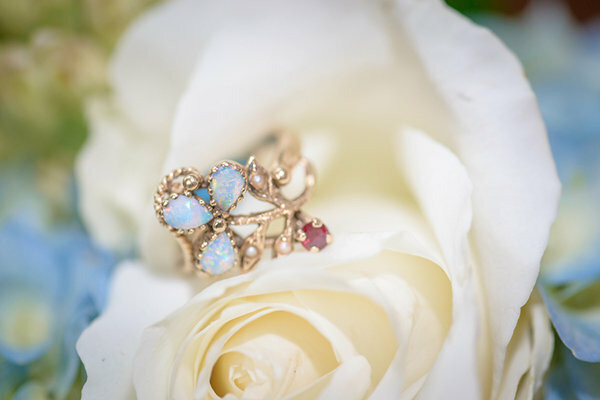 Every girl likes flowers, but when they’re on a ring and made of gemstones – we absolutely love them. I mean, how can you not like something that’s so elegant and pretty. It’s an engagement ring but it might as well have been a crown, a necklace or a tiara as it states in its name. 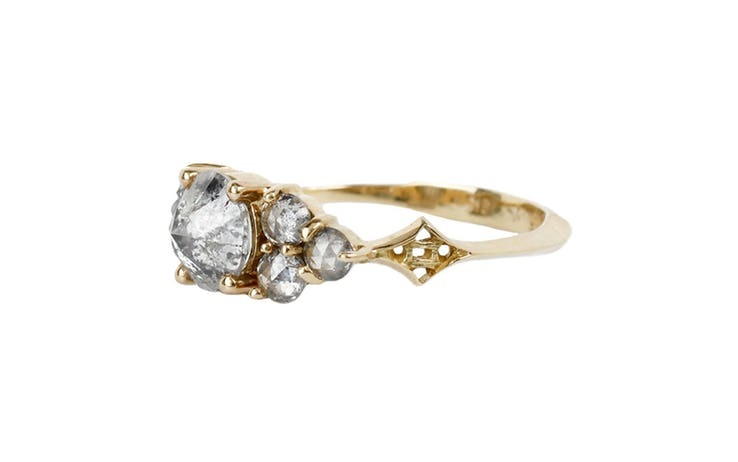 The shape of this ring is just so elegant and royal looking that we think it’s fit for a queen.